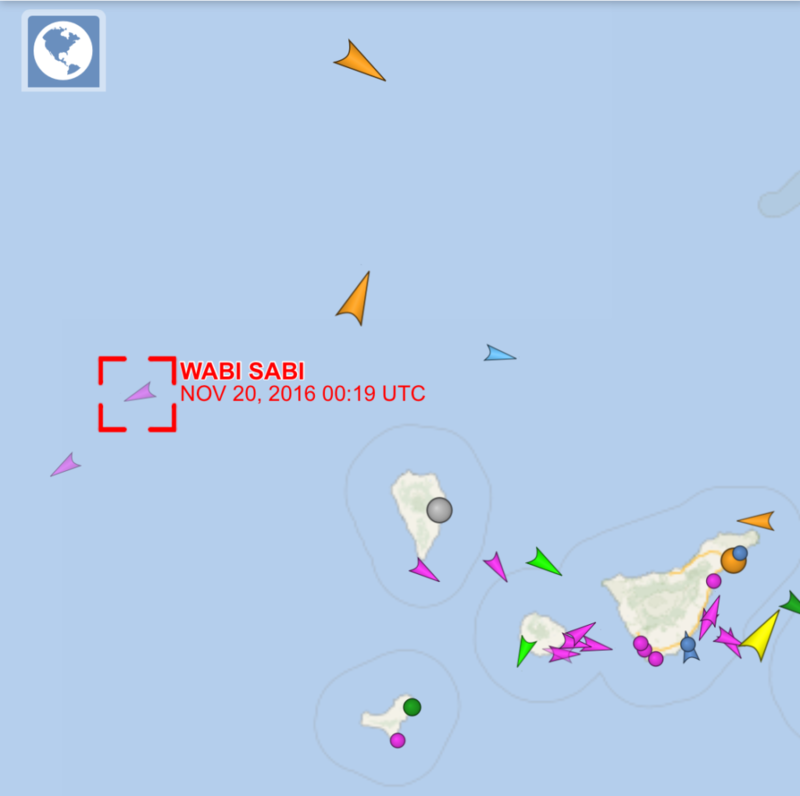 After dropping off the AIS radar on November the 20th, WABI SABI (carrying Kent, Stuart, Jan and Claudia) had to head south to avoid a large storm in the Atlantic. The bad weather did not stop them from enjoying a turkey meal on Thanksgiving and although it was a little rough, they were averaging a speed of 10- 12 knots. As of Sunday the 27th November, they were able to turn the corner and set their heading back to Fort Lauderdale. The detour has cost them a few more days in travel time and as of yesterday the 28th November they are literally in the middle of the ocean! The storm averted, the weather is now a little too calm and they had to actually start up the engines. We are expecting their arrival in about 9 days, so if Kent is not answering your calls or replying to your emails, please understand, please be patient…sailing will take as long as sailing will take.